To work at a college is to have the opportunity to live your life in reverse. To see yourself as the person you used to be. True for me, anyway. I listen to their stories and hear their dreams and realize both sound familiar. They’re much the same as mine were, once upon a time. They are all convinced the world needs a good cleaning up. Many more than you might think are here for simply that reason. They’re learning and preparing to go forth into the dark lands outside these ivory walls and do some good. To clean up. They see The Way Things Are and believe theirs is the generation who will put a stop to it all. But there’s much they can do while they’re here, too. There are clubs and protests and candlelight vigils for everything from tolerance to global warming to ending the wars in Iraq and Afghanistan. They write articles for the school newspaper on equality. Each of these activities are undertaken with a sense of excitement and passion you’d expect to find in young adults. They’re fighting the good fight and smiling as they go. That was me once. I was never one for clubs and protests and candlelight vigils, but I did write articles. And I did believe the world needed a good cleaning up. Believed I was the sort of person to do it, too. I had all the excitement and passion in the world behind me to push me ahead. 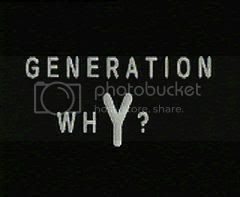 I promised myself that things would be better one day and that my generation would be the ones to thank for it. It’s funny what people believe when they’re young. How that excitement and passion is the result of a blind expectation rooted not in reality, but in the idealistic dreams of youth. You, dear reader, know this. I’m sure of it. Because like me, you likely once thought much the same. But the big dreams we sometimes have tend to shrink as time wears on. Where they once lifted us up in possibility, they soon begin to weigh us down in doubt. We may know of the world at twenty, but we cannot fathom it. Not yet. That comes later, when job and family and responsibility appear. When getting ahead is narrowed into getting by. And we see then for the first time this horrible truth—things are too big for us. We are not the stalwart captains of hope and change we once believed we were; our determination instead resides in surviving this day to face the next. We no longer wish to change the world. All we want is to make sure the world doesn’t change us. That would be enough. We don’t like thinking we’ll lose in this life, even if winning seems unfeasible. Fighting to a draw, then, is the best we think we can do. That’s what I think about when I see these students every day. About how their passion will be tempered against the hardness of a world they can only flirt with and not yet love. I wonder how kind the coming years will be to them, what they will lose and then gain from the loss. And through it all they will be nagged by the very notion that still nags you and me, the notion that the world does indeed need a good cleaning up. We’re all right in believing that. Where they’re wrong now and I was wrong once is believing that cleaning should begin at the upper reaches of our society and drip down onto everyone else. I don’t believe that to be true. Not anymore. Because now I know better. Now I know that if I ever want to help clean up the world, I have to start by cleaning up myself. Not that I was a talkative child. I wasn’t. And still am not. But I was in the midst of something amazing, and it had no choice but to leak out. Before, my universe in its entirety had been comprised of my home, my neighborhood, my church, and the grocery store. Everything else was fuzzy and gray and didn’t really matter. And I was happy. But then things changed. At some point I sat in the backyard grass one night, gazed up at the stars, and began thinking about what they were and how they hung in the sky. And one day I looked at the mountains outside my front door and thought about who lived there a hundred years ago and what happened to them. And then I looked into the mirror and wondered, in my own childlike way, who I was and how I was possible. My world was creeping outward. Expanding. Suddenly, everything went from fuzzy and gray to bright and sparkling. And I was happier. This was at first an encouraging sign as far as my parents were concerned. I was waking up to the world and taking an interest in things, which was good. But as the days and weeks wore on and my questions not only kept coming but became more difficult to answer, they came to believe that perhaps my wakefulness and interest weren’t so good. Weren’t so good at all. They’ve confessed as much to me, so now I understand the whys and for-whats of the day I watched Wild Kingdom with my father. The episode was about creatures of the deep sea, and along with the requisite slugs and shrimp, they had shown several pictures of angler fish. I had wondered aloud why there were a lot more fish in the sea than there were animals on land. And I had also wondered aloud why we had to send submarines to the bottom of the ocean instead of people in suits. “For the love of all that is holy and good, please shut up!” Dad said. Which was about the funniest thing I had ever heard. I laughed so hard that I fell off the sofa. Sigourney Weaver had just transitioned from sharks and whales to the creatures of the deep sea. Several bioluminescent fish lit the screen, tiny shrimp scurried along the sea floor, and then an angler fish crept into the scene. That’s when I remembered that story of Dad and me. And as I had spent the last twenty minutes answering my son’s questions with varying degrees of success, a part of me wanted to tell him the exact thing my father told me. But when I looked down and saw the grimace on his face and the tiny pile of cracker dust on his pajamas, I didn’t see my son. I saw me. And then I doubled over with laughter and fell off the sofa. Much the same way I did thirty years ago. My son peered down over the edge and gave me a what’s-so-funny? look. “Atta boy,” I said, looking up to him. Because I pray the wonder he has at this world and his place in it never wanes. It’s the sort of wonder that has cured diseases and explored our solar system and invented wondrous technology. And it’s also the sort of wonder that God bids us to have in abundance. Because if we want our faith strengthened, it must be tested. And if it’s truth we seek in this life, we must begin with doubt. The Christian faith is unique in that it centers itself upon a God Who revels in both the faith that lives in our hearts and the questions that live in our minds. He challenges us to ask the tough questions and seek their answers, even if some are unsearchable. He knows the great secret: the more we try to prove Him false now, the more we’ll prove Him true in the end.